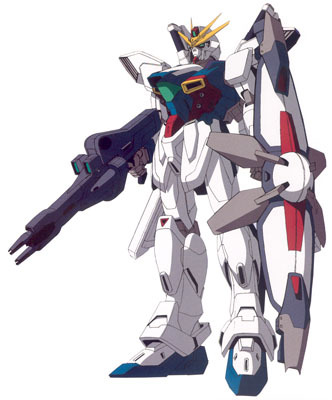 While the Divider lacks the sheer firepower that the Satellite Cannon had, it makes up for with being a much more versatile mech, as well as giving a small boost to all of the Gundam X's stats. 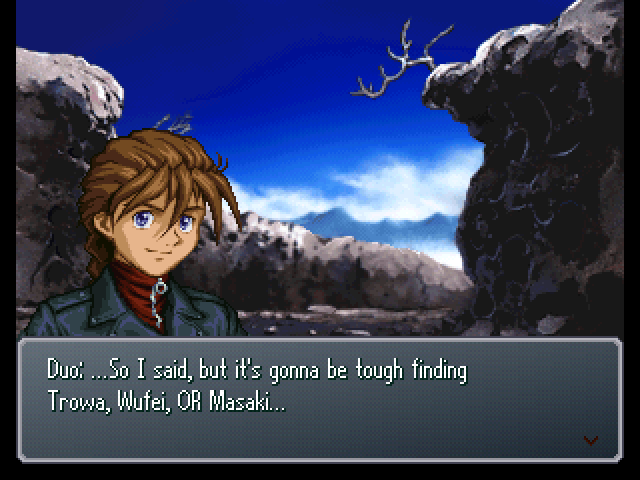 The same conversation on the Soliel that happened during the Turn A route will play here as well. Since we've seen it before, I'm just going to skip it. : Yes. 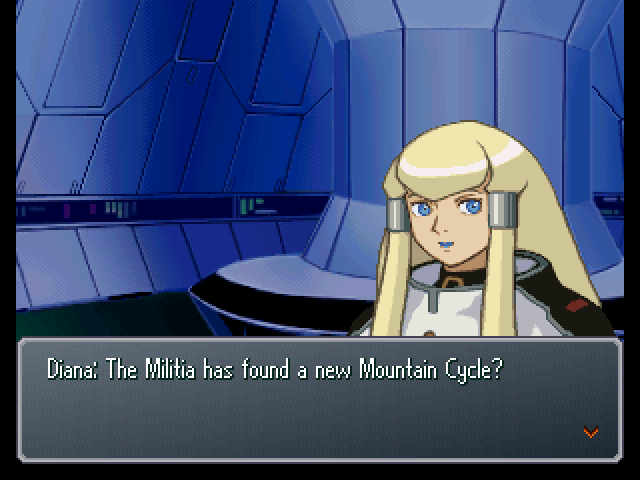 It apparently met up with the Iron Gear and the Militia in the mountain region. : I see... That's encouraging to hear. 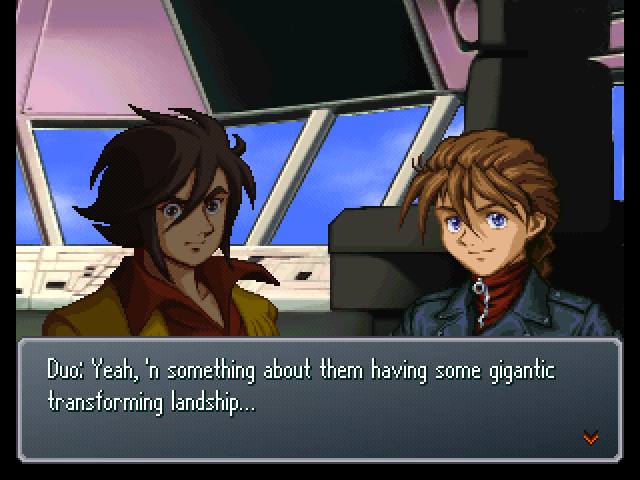 : Is the Argama you guys' main flagship? : Yeah, you got it. : Captain, what shall we do now? : We won't get much done stickin' around here. : We'd like to meet up with the Argama, if possible. : If we don't move carefully, we'll get picked off by them. : Oh yeah. This is all hearsay, but... I heard there are some real hell-raising Breakers or Vultures around this area. : (.........) Let's send out recon units to secure a course, then rendezvous with the Militia. 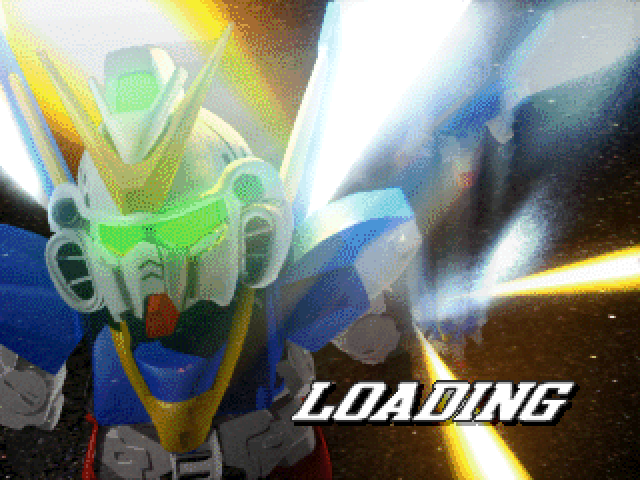 : Okay, let me 'n Heero handle the recon. : Please, if you wouldn't mind? : Sure thing. I wanted to search for Trowa and Wufei anyway. : Okay, Duo... In that case, would you mind looking out for Masaki too? : Did something happen to him? 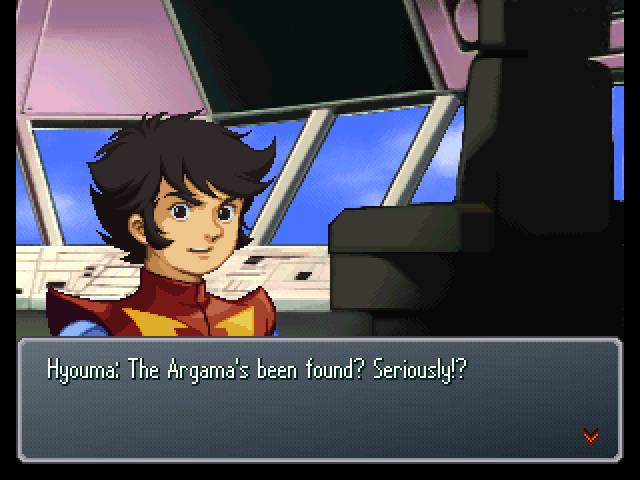 : He apparently left the Argama on a recon trip, and has yet to return. : Wait, why'd they send a guy with no sense of direction whatsoever to do their recon? : Well, we're going out ahead. Maybe we'll get lucky and spot them. : What's the plan? 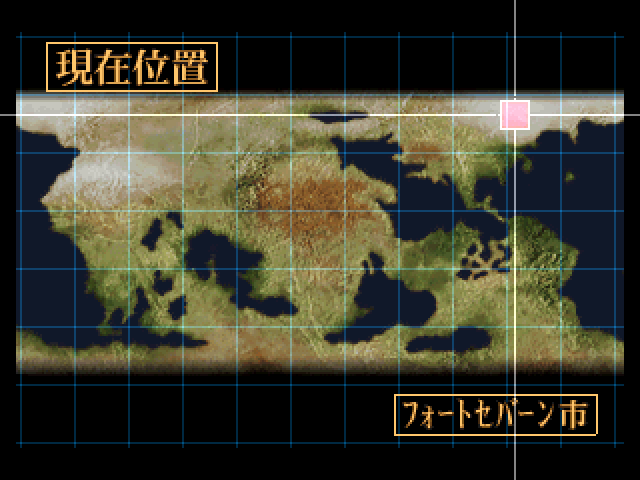 We're getting pretty close to the Argama rendezvous point. : Then I'll look for Masaki. : It might be dangerous, but... I'll try using the Zero System to predict his location. : Th-the Zero System...? Isn't that a little overkill!? : With no leads, it's a far better option than continuing the search. : I guess so, but... Are you sure about this!? : Not a problem. You can search for the others in my stead. 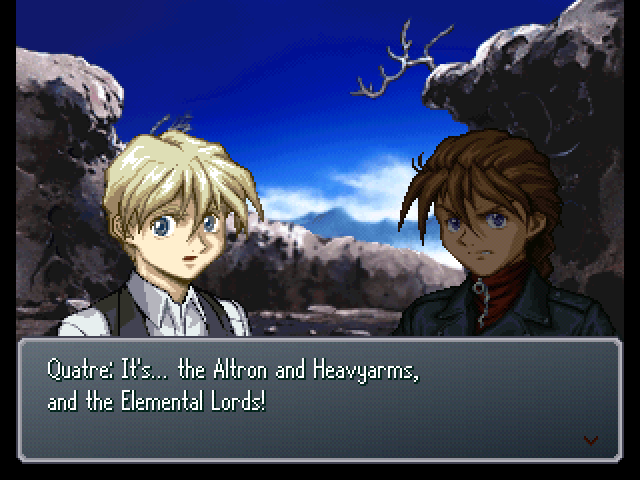 : *chuckle* Heero's changed, hasn't he? : He's still as blunt as ever, though. : But he's really a kindhearted person, deep down. Quatre's sensors pick up something. : Someone's fighting up in the air, straight ahead. : Looks like we've hit the jackpot. Let's get moving!